What If Parts Of The Bible Are Wrong? 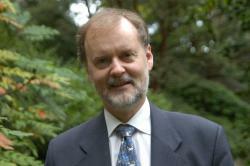 I came across something interesting at Larry Hurtado’s blog the other day titled Paul and 1 Corinthians 14:34-35. I had just finished reading 1 Corinthians as part of my annual “read the Bible cover-to-cover in one year” effort (through admittedly, this is the first year I’ve made the attempt in quite a long time). 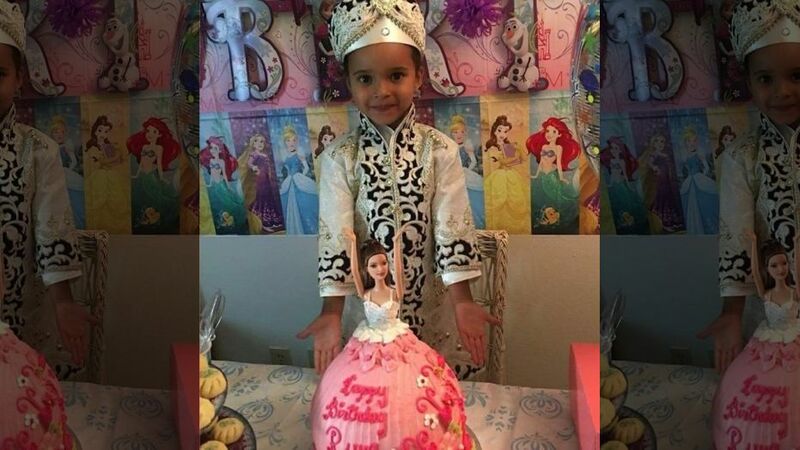 The…story focuses on the view espoused in Payne’s article that vv. 34-35 are an interpolation inserted into some copies of 1 Corinthians, probably originating as some reader’s marginal note, and then incorporated into the copy-stream at some early point. But, actually, for a number of years now an increasing number of scholars have reached this basic conclusion. Indeed, in his article Payne points to the numerous scholars who agree that vv. 34-35 are not an original part of Paul’s letter. For example, note Gordon D. Fee’s judgment in his commentary: “The First Epistle to the Corinthians,” New International Commentary on the New Testament (Grand Rapids: Eerdmans, 1987), 705-8. Okay, so what does that mean? It means there are a number of scholars who have long believed verses 34-35 in 1 Corinthians 14 were not part of the original epistle and in fact were a reader’s note in the margin that was later erroneously incorporated into the formal text. The verses seem to go against practically everything else in Paul’s uncontested letters pertaining to women’s involvement in the churches. The first is the general belief that the Bible in toto is the inspired, inerrant, and infallible word of God and is not to be questioned in even the slightest degree. Of course, this depends on the level of sophistication and education of the reader, but there are a lot of Christians who basically say God said it, I believe it, that settles it. I work with a fellow who is very nice and friendly and he is a Christian who basically approaches the Bible this way. Occasionally, he tries to engage me in a little theological discussion and I tend to put him off. I know from painful experience that if I tell him what I believe and what I believe about what he believes, it will not end well. The second, building on my first, is that if we know or have good reason to believe there are “questionable” verses and phrases in the Bible, shouldn’t we make it our business to find out what they are so we don’t use them to commit an injustice? There probably are churches (probably conservative and many of them rural) that do preach women being silent within their walls and that expect women who may have questions about what they hear from the pulpit or in Sunday School to wait until they get home to ask their husbands (who may or may not have a good understanding of what was said) what it all means. Now I’ve never had that sort of experience in any church or congregation I’ve attended. Women did seem to be active, questioning members of those religious communities, so there obviously are churches that simply set aside those verses or at least believe Paul meant to address a local matter rather than pronouncing some sort of universal truth. 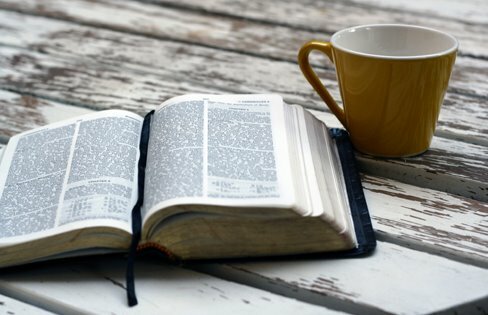 Even if a Pastor, who hopefully was educated at a formal accredited seminary, keeps up on the latest Biblical research, it’s not likely you’ll hear the findings of that research being preached from the pulpit (or on Christian radio), so the average Christian in the pew will be totally unaware of this information. After all, it doesn’t have anything to do with a Christian’s salvation or going to Heaven when they die. I know that sounds cynical, but it can be really frustrating when I hear some Pastor on Christian radio say that you can’t be a believer unless you go to church and are in fellowship, realizing that what they’re advocating (whether they intend to or not) is, for the most part, corporate ignorance. That said, most or at least a lot of believers don’t want to know anything that makes them feel uncomfortable about the Bible or their faith. It’s one of the reasons Evangelicals are believed to be superstitious, unsophisticated, anti-science, Luddites. They seem to have missed what Paul said about the Bereans. I’m no teacher or scholar, and I’m no smarter than the average bear, but at least I try to learn a little bit more about the Bible and other things today than I knew yesterday or last year. Christians have historically bent, twisted, and mutilated the Bible for their own purposes, at least those Christians in charge of Bible translations and laying out what is “sound doctrine,” so I don’t have a problem investigating said-doctrine to see if they’re wrong about something. My wife calls me a Christian (her being a Jew) and she tries not to say it as a pejorative (most of the time), but while that’s true in the broadest possible sense, I’m certainly atypical relative to the vast majority of churches in my local community as well as in the nation (and the world). Consider this blog article to be a small cautionary tale. Before you use the Bible to beat someone up or to establish and inflate your own superiority as “saved,” you might want to check and see if the Bible says what your Pastor or Sunday School teacher tells you it says. Actress Alexis Bledel in the television show “The Handmaid’s Tale”. I put the word “church” in quotes because every time it’s mentioned in the New Testament, the word isn’t really “church,” nor is it likely Paul meant the Greek word Ekklesia to mean “church” in the modern sense (for more on this rant, see Notes on the Church from an Insomniac and When is Church not Church?). I recently heard a pastor of a large American church say matter-of-factly that the average person in his church attended one out of three Sundays. Sadly, he wasn’t saying it was a problem. He was simply making an observation. You may be wondering what these two stories have to do with one another. The former (a very long but worthwhile article) describes what most of us would call a “cult,” a domineering religious community run by a single individual who allegedly demands absolute control over his followers’ lives, and the latter, espousing the value in believers regularly gathering with one another to worship God and for mutual edification. I recently wrote about the good and the bad of religious community. Actually, that blog post was mainly about the bad. The first story about Wayne “Pops” Jolley, “a prosperity gospel preacher with a history of alleged spiritual and sexual abuse,” and sole owner/operator of The Gathering International, is much, much (allegedly) worse than the two Pastors I described in my previous write-up. He’s (allegedly) a monster and, if the facts in the story are accurate, he should be in prison. Lifelong commitment to God I can understand, but lifelong commitment to obey and throw money at Jolley in exchange for him passing along what God has to say and His blessings to me? That’s outrageous. You can click the link I posted above to read all about what “Christianity Today” has to say about Jolley and find out why he (allegedly) makes my skin crawl. The flip side is the small article written by Bob Kauflin, and which probably leverages content from his book Worship Matters: Leading Others to Encounter the Greatness of God. Nothing is more essential than knowing how to worship the God who created us. This book focuses readers on the essentials of God-honoring worship, combining biblical foundations with practical application in a way that works in the real world. The author, a pastor and noted songwriter, skillfully instructs pastors, musicians, and church leaders so that they can root their congregational worship in unchanging scriptural principles, not divisive cultural trends. I especially took note of the line, “can root their congregational worship in unchanging scriptural principles…” True, a lot of churches are very “program” oriented and seem to be searching for ever more ways to make going to church “popular” if not a thrill-a-minute, but I react to the phrase “unchanging scriptural principles” as written by a Christian, the same way as I do to “sound doctrine”. What you believe the Bible says depends a great deal on your interpretive traditions rather than (necessarily) on objective analysis. I know that probably sounds harsh, but then again, I’ve participated in the eisegesis wars more than once. And while I don’t doubt that Kauflin is a good, sincere, devoted, and compassionate disciple of Jesus, he definitely is writing from a highly specific point of view; a very traditionally Evangelical Christian point of view. You can read his eight reasons why Church attendance isn’t optional by clicking this link. I’ll present my responses here. 1. Jesus came to save a people, not random individuals. Well, sort of. Jesus came (it’s a lot more complicated than a simple Christian understanding of the purpose of Christ relates) for the “lost sheep of Israel” (Matthew 15:24) to call them to repentance because of the “nearness” of the Kingdom of Heaven (Matthew 4:17). To expand on this a bit, he came at that place and that time to show Israel (the Jewish people) that God’s New Covenant promises (Jeremiah 31; Ezekiel 36) were indeed going to come true. He did this by being a living (and dying and then living again) example of the indwelling of the Holy Spirit (Matthew 3:13:17), the forgiveness of sins (Romans 11:25-27), and the resurrection (Colossians 1:18). Bottom line, Jesus came to herald the emergence of the Messianic Kingdom into our world, dramatically unveiling the redemption of all of Israel. He didn’t so much talk about the rest of the world. Of course, post-ascension, he commissioned Paul with that task (Acts 9). That means the reason Jesus came had little or nothing to do with going to church each week. 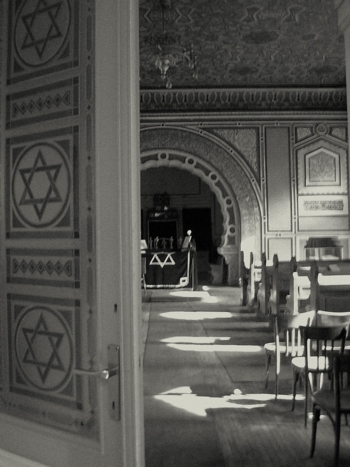 That said, in late second Temple Israel, there were the moadim or the times when Israel was to gather in Jerusalem (Rosh Hashanah, Yom Kippur, Sukkot, and so on), there were specific occasions for offering additional korban at the Temple, and Jews regularly prayed and studied at the Temple and at their local synagogues and study halls. Being a Jew was and is a corporate experience, and Paul did gather the Gentiles together to also worship as specific local groups. 2. We need to rehearse and be reminded of the gospel. I’d probably expand this to include regularly attending places where the Bible is preached and taught. 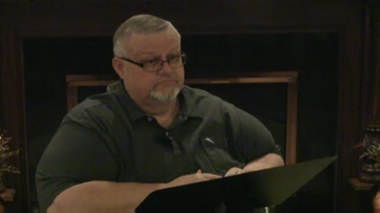 I love a good sermon, although I have a tendency to write copious notes and then blog my reviews of them, and certainly there is a great advantage to attending Bible classes and being able to discuss views and insights on the scriptures, including the Gospels and other Apostolic Writings. If I understand Kauflin correctly, he’s also recommending that believers come together to encourage each other to practice the good news by living out lives that reflect the teachings of our Rav and the promises that are sure to come. 3. God’s Word builds us together. It seems like this is strongly related to item 2 if not just a rewording of the previous rationale for meeting regularly. 4. We were made to serve and care for one another. I agree that we can serve each other in corporate gathering, but there are just tons and tons of other occasions and venues in which to do this, sometimes ones that are better than church. After all, how better to serve someone than to visit them when their ill in the hospital, when they’re depressed and alone in their homes, when they’re bereaved, and under many other circumstances? You don’t need to regularly meet in church to do this. 5. We become more aware of God’s presence. I’d agree with this with the caveat that some people have a greater awareness of God when they are alone. 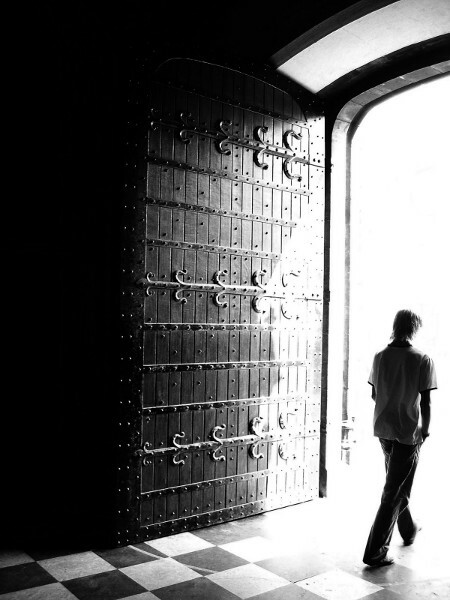 Yes, I have felt the presence of God both in church and in the synagogue, but I have also felt it when praying alone, so church isn’t the only place you’ll find God. Sometimes you’ll find him in the most unlikely places. Also, I find Kauflin’s use of “the Church” being the “new temple in Jesus Christ” to be somewhat limited. 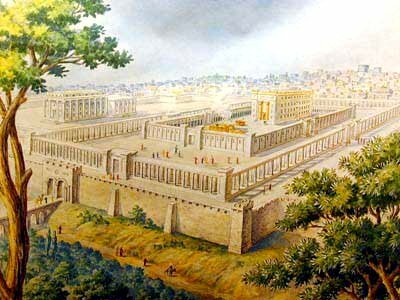 We know that Messiah will re-build the actual, physical Temple in Jerusalem and re-establish worship there (Jeremiah 33:18), and Paul referring to the “body of believers” as a “temple,” is more or less metaphor, just as we are also referred to as individual bricks in that temple. One does not replace the other. I think many Christians take poetic language and try to make it a literal thing in order to map to prevailing Church doctrine which historically, was created to remove the Jews and Judaism from any association with Rav Yeshua (I’m sure Kauflin isn’t deliberately “dissing” Jews and Judaism, merely teaching what he was taught). We demonstrate our unity in the gospel. This is basically correct, at least in principle. As I mentioned above, Judaism, both in Rav Yeshua’s day and now, has a strong corporate worship and study component (although today, the home is always the center of a Jews worship of and devotion to Hashem). 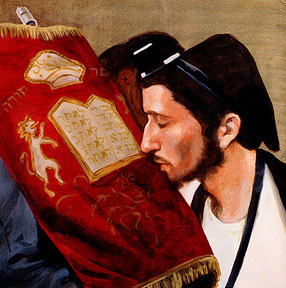 As Jewish community defines its distinct covenant relationship with the Almighty, you can also say that Christian community defines the non-Jewish disciples of our Rav as those who, even as we are not named participants in the New Covenant (see Jeremiah 31:27), are nonetheless by God’s grace and mercy, granted many of the blessings of the New Covenant. We also have the promise of the forgiveness of sins, the indwelling of the Spirit, and the resurrection in the world to come. Most of us instinctively (sinfully?) like to be with people who are a lot like us — people who like the same music, eat at the same restaurants, and shop at the same stores. But God is glorified when people who have no visible connection or similarity joyfully meet together week after week. 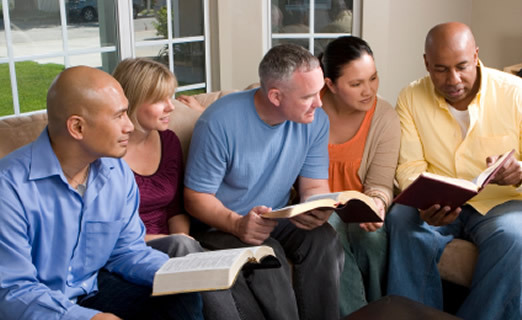 They do it not because they’re all the same, but because the gospel has brought them together (Romans 15:5-7). At least in my experience, Christians actively seek out churches that are composed of people who are just like them socially, politically, economically, “denominationally,” and in most other ways. It’s not like you could take 100 random Christians gathered from across the country, put them together in a building every Sunday, and have them automatically form a cohesive community of believers. Depending on their theology, doctrine, politics, and such, they’d probably split in a dozen different directions, and heaven help the poor Pastor who tries to preach to this eclectic bunch. People choose churches in part because the majority of the members/attendees have many interests and perspectives in common. A [Jewish] man is rescued from a desert island after 20 years. The news media, amazed at this feat of survival, ask him to show them his home. “How did you survive? How did you keep sane?” they ask him, as he shows them around the small island. 7. 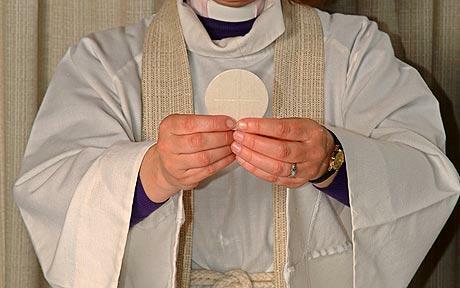 We can share in the sacraments. My opinion on the Lord’s Supper or Communion is conflicted at best (I’m being polite), and my thoughts on baptism or immersion is that it’s more appropriate and Biblically sustainable when done in a river or other flowing body of water or, if it needs to be conducted indoors, in a mikvah-like environment. It might be more appropriate to say that Number 7 is to share common ceremonies and traditional praxis. For instance, with Christmas fast approaching, churches all over the U.S. and in other nations are gearing up for their big Christmas presentations and worship services. 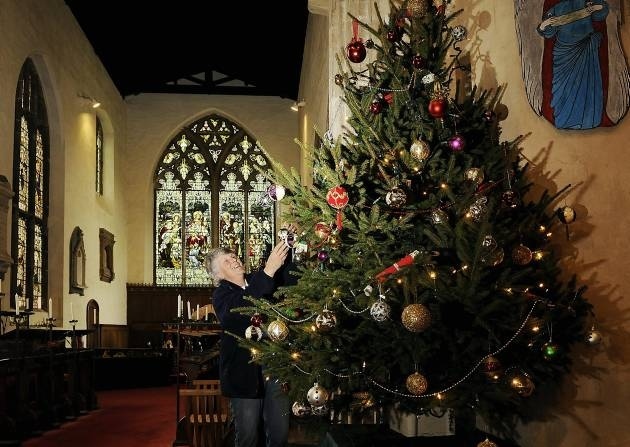 There’s nothing wrong with this, but Christmas is a tradition, not a Biblical event. Yes, I am aware that the Rav’s birth is recorded in the Bible, but how the Church celebrates Christmas today, both in individual Christian homes and in corporate assembly, little resembles the scriptural record, nor do we see anything like a directive to actually observe or celebrate Christ’s birth. 8. We magnify God’s glory. Corporate assembly to lift up our God and to give glory to His Name. I can’t object to this one. 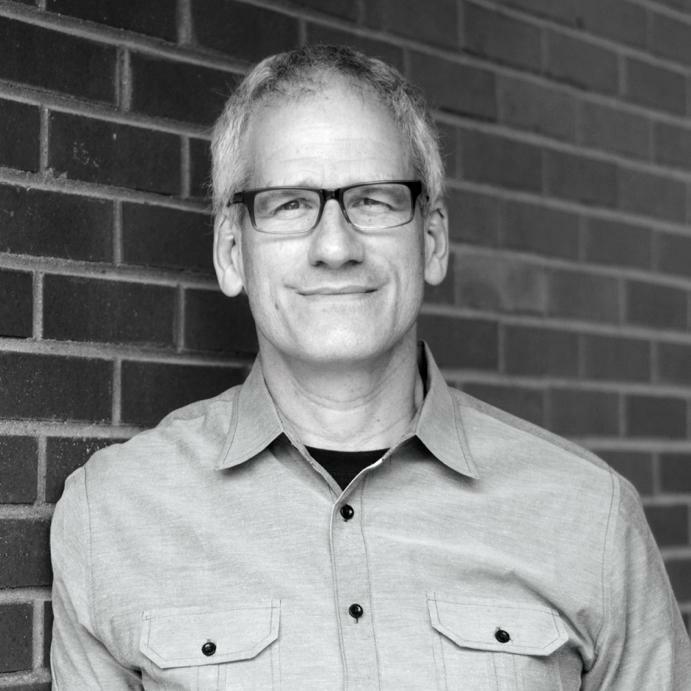 Of course, Kauflin’s bio describes him as “a songwriter, worship pastor, and the director of worship development” (and you can find out even more about him at his blog), so it would seem corporate worship has a special place in his heart. He couldn’t do a lot of what he does without a church full of people. Also, as I previously mentioned, he wrote a book on the topic, so he’s invested in promoting corporate practice. Why am I posting a comparison between two widely different men and radically distinct worship venues? In spite of what Kauflin said in his article, you can’t always find appropriate community just by popping into the first church you see as you’re driving down the street. Certainly doing so by going into Jolley’s group would (allegedly) be a recipe for disaster. There are some places that should never be called a “church”. But even under more optimal circumstances, in places of worship truly devoted to Christ, it doesn’t mean you’re going to fit in. I can only imagine that Kauflin and I would have a “spirited conversation” if we got together and started talking about the Bible. I’ve already outlined in some detail how I see his reasons for going to church every Sunday to not always hold water. Also, I’m kind of wary of famous Christians and their books because being a well-known Christian writer just means you’re communicating a popular message to the majority of Evangelicals, Fundamentalists, Charismatics, or whatever subculture of Christians to which the author belongs. Which goes right back to what I said before about how Christians will tend to associate with other Christians with whom they have the most in common. I’m not sure how this would have initially played out when the Apostle Paul was “planting churches” in the diaspora, but it’s pretty evident today, at least in the western hemisphere. I’m not entirely sure why I felt compelled to write all this. The world would go on just fine if I didn’t give expression to these thoughts. I’ve certainly got other things to occupy my time. I suppose I’m continuing to be a voice for the outliers, the ones who don’t quite fit in to a church…any church. While I find myself sometimes missing certain aspects of going to church (I said I loved a good sermon and I enjoy discussing/debating the Bible, though this almost always gets me in trouble), in addition to how my being a church-goer impacts my Jewish family, even after my two-year sojourn in a church, I never fit in, and both church and I decided to get a semi-amicable divorce. Kauflin says worship matters. For some of us, it’ll have to matter alone. The alternative spans the range from awkward to ghastly. Do Christians Really Have 1050 New Testament Commandments? Jesus commanded us in the second half of the Great Commission to teach others to observe ALL that He has commanded us. We first need to know the commands ourselves well enough so that we can teach others to observe them. Really, is this a thing? 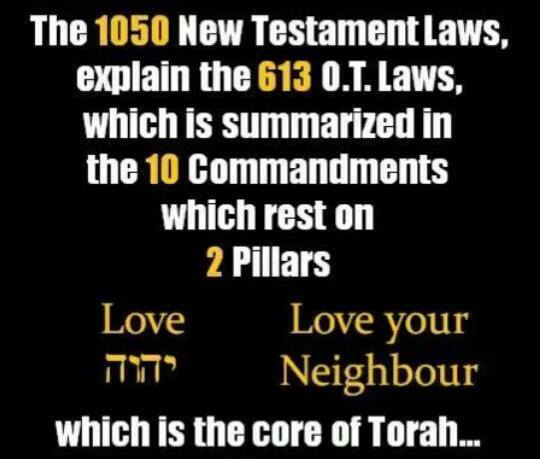 I first saw a reference to “1050 New Testament Laws” on Facebook (someone had shared this meme in my timeline) and I was really surprised. So naturally, I “Googled” it so see what else I could find. Besides the two above-quoted websites, a number of other dodgy online “resources” showed up including discussion groups at City-Data.com, ChristianForums.com, and RedHotPawn.com. I didn’t examine any of these sites in-depth and I haven’t read each and every one of the 1050 “commandments” (if they are commandments), but at first blush, I suspect that the list consists of a combination of teachings found in the Torah (and as such, they aren’t unique to the Apostolic Scriptures) and individual exhortations of Paul’s offered to specific populations concerning unique situations (as opposed of 1050 eternal, universal commandments that are either added on to the Torah mitzvot or that are supposed to replace them). Oh Timothy, keep that which is committed to thy trust, avoiding profane and vain babblings, and oppositions of science falsely so called. “…oppositions of science?” I don’t remember that. Sorry. “knowledge” and “science” aren’t the same thing, so no sale KJV. In fact, the vast majority of other versions of the Bible translate the word referred to by the KJV as “science” as “knowledge”. I suspect these so-called “New Testament Laws” are all equally bent, twisted, and mutilated to say what the Bible doesn’t really say. But why? Why go through all the trouble? 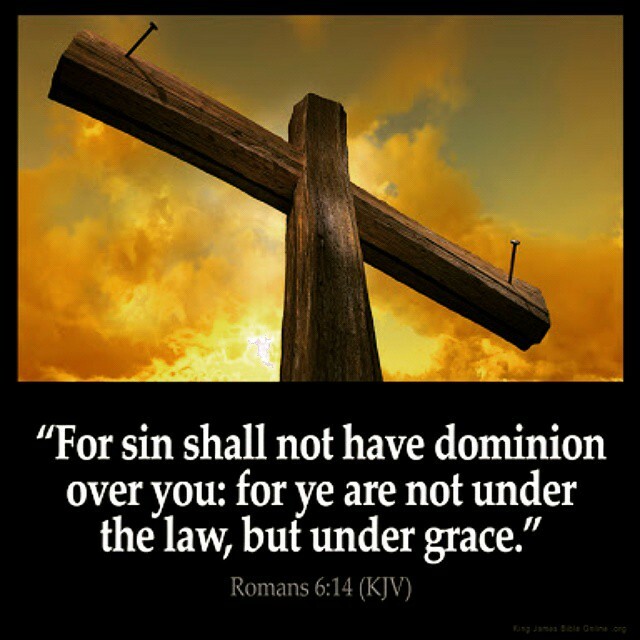 Isn’t it enough for mainstream Christianity to say that grace replaced the Law and all you have to do is believe in Jesus and you’ll go to Heaven? A quick Google search couldn’t tell me who originally compiled this list and why, so I don’t have a definitive answer at my fingertips. Most Bible translations do say “sober,” but some translate the same word as “clearheaded” or “serious” so it doesn’t automatically have to be sober as opposed to intoxicated. This does reflect a typical Christian bias against the use of alcohol in almost any degree, which again, makes me question the validity of the so-called “New Testament Laws”. John 2:16 And said unto them that sold doves, Take these things hence; make not my Father’s house a house of merchandise. The Holy Temple in Jerusalem is not “church,” so I don’t find something Yeshua (Jesus) said about a very specific situation he encountered in the Temple to have a universal application to all non-Jewish Jesus worshipers (i.e. Christians) everywhere. There was a section called “Commands — Old Testament” which listed exactly seven different passages, three from the Gospels and the rest from the Epistles. There’s no explanation accompanying this list, but I have to assume the writer/compiler intends that these are the only commandments from the Torah that survived Jesus “fulfilling the Law”. Ironically, the list includes Matthew 5:17-19 which is the strongest evidence that Yeshua did not come to abolish (fulfill = abolish) the mitzvot but rather to illustrate living them (as a Jew) to their fullest. However, both Galatians 5:1 and James 2:12, taken out of context, seem to declare that the Torah is extinct post-crucifixion and resurrection, so they fit the traditional Christian doctrinal narrative. Mark 9:38-39 And John answered him, saying, Master, we saw one casting out devils in thy name, and he followeth not us: and we forbade him, because he followeth not us. (39) But Jesus said, Forbid him not: for there is no man which shall do a miracle in my name, that can lightly speak evil of me. Denominations, as Christianity understands the term, did not exist when the above-mentioned fellow was casting out demons in the name of our Rav, so this certainly illustrates a creative application of these verses. Of course, he’s wrong that you can’t perform any of the 613 mitzvot. There are a subset of some 200 odd mitzvot that observant Jews perform today. However, I’d tend to agree, if the general Christian position is that God gave the Torah commandments to the Jewish people just to prove no one can be righteous by the performance of good deeds because there are just too many of them (and this is a complete distortion of the focus and purpose of the Torah), then expecting “saved by grace” Christians to perform 1050 commandments is just insane. I am truly at loss as to why any corner of the Church would make this stuff up, but if any one out there is frustrated that non-Jewish Yeshua disciples don’t have commandments of their/our own, it looks like you have enough, according to the sources I’ve cited, to stuff a proverbial Christmas goose. Personally, I’ll stick with the simplicity of a life of holiness. It provides quite enough to keep my hands full, and I’m convinced I’ll never do it very well. I wrote this blog post some months ago wondering if I’d ever publish it. Given recent events, now seems like a good time. The final verse of this parashah uses the words…[which] literally [mean]: “This is the Torah,” in reference to the laws of tzaraas. Sifsei Kohen understands this to be teaching us an important remedy: if one has brought down upon himself the Divine punishment of tzarras, he must cleanse himself through the study of Torah. The Torah is a fire of ruchniyus, spirituality, and fire has the capacity to purge impurity (as we see in Bamidbar 31:23). However, simply learning the Torah is not sufficient; one must absorb the Torah into his very being…Even if one learns the Torah, his task is not yet complete. 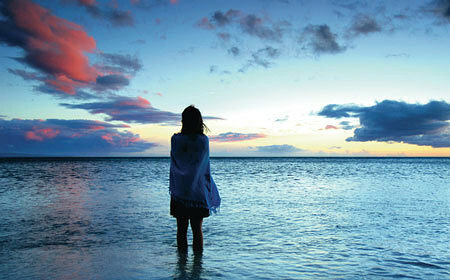 If he internalizes what he has learned, he will come to purity; but if he does not, the potential for tumah still lurks. I realize this was written with a Jewish audience in mind and the concept of elevating oneself by the study and internalization of Torah isn’t meant to be applied to me, a non-Jew. Nevertheless, I think I can take a wider principle out of this lesson. Please bear with me. I think what I quoted above is what separates me from the friend I have coffee with on alternate Sundays. He has been urging me to push myself further in my relationship with Messiah. But when he describes his own experiences, the spiritual depths he explores, and even the periodic visitation by the presence of Hashem, I’m flabbergasted. Over eighteen months ago, I wrote a blog post called Standing on the Jewish Foundation of the Bible. I wrote it in response to some of the conversations I was having back then with the head Pastor of the church I used to attend. He was also pushing me, but in his case, to adopt a more classic Christian identity and understanding of the Bible. As it turns out, I make a very poor Fundamentalist or Evangelical too. It’s not where my head and my heart lie. In my reviews of the Nanos and Zetterholm volume Paul Within Judaism: Restoring the First-Century Context to the Apostle, I’ve been reminded of how a more Judaically-oriented view of the scriptures makes a great deal more sense to me than what Christianity has to offer. This is why I study the Torah and the rest of the Bible from the perspective of the “Messianic Gentile,” or at least I have been up until now. But as the above-quoted passage and my friend attest, studying is not enough. Knowing but not doing is probably a bigger sin than mere ignorance or even being on the wrong track. In the review I mentioned above, I hope I’ve shown that the traditional way the Church understands Paul represents the “wrong track.” Of course, this isn’t the first time I’ve rendered this option. But at least many people within the Church are behaving from their convictions, performing acts of charity, feeding the hungry, giving comfort to the grieving, all the “weightier matters of Torah” the Master valued so highly. Even if you (or I) believe we possess “the truth,” or at least a more historically and culturally accurate and factual interpretation of Paul and the writers of the rest of the Bible, what good is it if you (or I) don’t do something about it, and don’t allow our personalities, our very souls to absorb, integrate, and radiate the lived experience of Torah? The Torah gives us an important rule in relationships: Even though you are suffering, you have no right to cause suffering to others. Whatever your distress, you still need to speak and act with respect. If you are ever in a bad mood, be especially careful not to speak or act to others in a way that will be distressful for them. It must also look like this. I think the litmus test for whether or not you (or I) have integrated Torah principles into our identity and lived experience is stress. Even the morning commute into work can be abundantly revealing (I know it is of me). 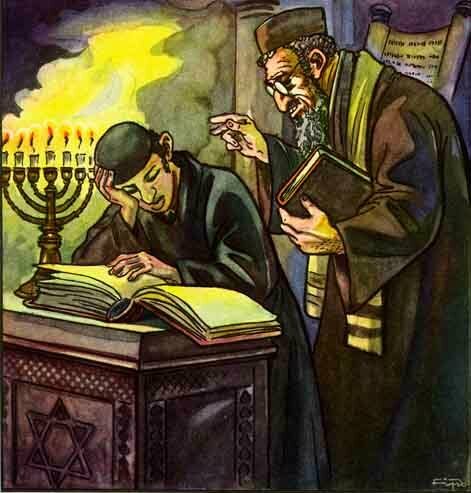 A person who has internalized Torah principles; internalized the teachings of the Master, will react to various stresses in a different way than one who studies but has not absorbed that study. But he must ask in faith without any doubting, for the one who doubts is like the surf of the sea, driven and tossed by the wind. For that man ought not to expect that he will receive anything from the Lord, being a double-minded man, unstable in all his ways. Does faith have something to do with whether or not one internalizes what he or she has learned of Torah? I think so. Think of it more like faithfulness or especially trust. 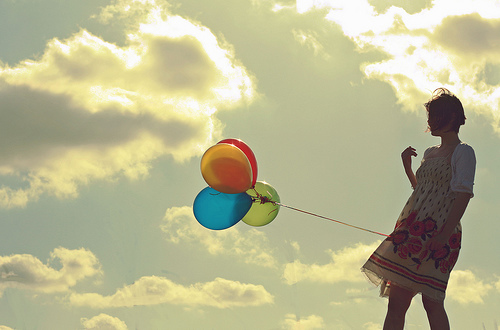 I think we all encounter circumstances where we find it’s hard to let go. Like the character Marlin in the film Finding Nemo (2003), our fears overwhelm our ability to trust, even Hashem, and to let our God open His hand and provide for our every need. If we don’t trust completely, then we can still study Torah and be illuminated, but we will never become the illumination. The Master said to his followers, “You are the light of the world” (Matthew 5:14-16), but our light will not shine if we cover it over with doubt and distrust. On some level, I must not be letting go. I’m comfortable with the study but not with what comes after it. I like my spiritual plateau, but I will never be who Hashem wants me to be unless or until I let go, trust my Master’s teachings, and let them truly transform every area of my life. Study is supposed to lead to transformation, but not unless I first break down the wall. I know that wall is mine to break down and not God’s. The next move in this little chess game is mine, not His. 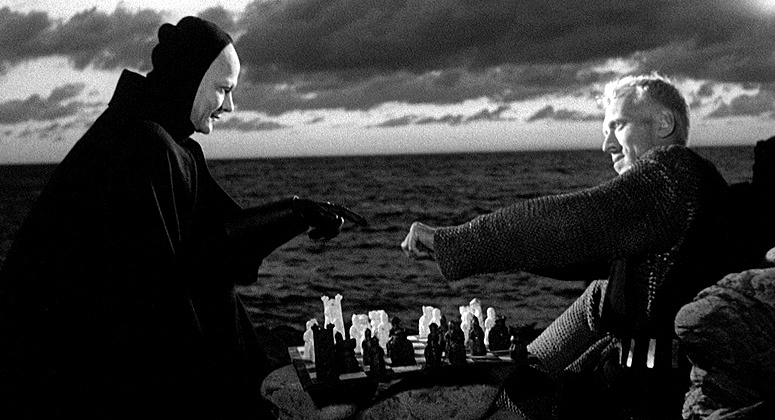 But just like the Knight in Ingmar Bergman’s classic 1957 film The Seventh Seal, I find myself at the losing end of that game and the inevitable consequence is my extinction. However, unlike the Knight in the film who, like many of the other players, dies in a plague and goes off into eternity dancing with a personified death, my end is not the end of life, but the end of any attempt at community and belonging. There is no going back. What I think is one thing, but what I feel is something beyond my abilities to grasp. I will post a general reivew of the Nanos/Zetterholm volume on Amazon rather than finish writing my essay-by-essay reviews here. Frankly, given the last few blog posts and especially this one, I think it’s best for me to take some sort of hiatus, at least from blogging if not from any sort of involvement in Messianic Judaism as a social venue online or otherwise. While I still think it’s the most Biblically sustainable method of study, as far as me, an individual human personality goes, I don’t think I belong here anymore than I belong in a church. If God still wants anything from me, He knows where to find me. I seem to be making a mess of finding him, at least through any method I’ve attempted thus far. For any individual or group I have upset or offended, I apologize and ask forgiveness, though I don’t expect I deserve it. I wish you well in your endeavors, but I seem to need to travel a different path than yours. It’s time for me to reduce my search to simply me, the Bible, and prayer. After that, let God make his judgment. The Torah attitude is that we are obligated to be aware of our greatness. Feel proud that you are created in the image of the Almighty. Pride in the elevation of your soul is not only proper, but is actually an obligation to recognize your virtues and to live with this awareness. Then again, Rabbi Pliskin is a noted psychologist as well as a Rabbi, author, and lecturer, so perhaps he really does mean that all human beings have the capacity of being great because we were all created in the image of Hashem. I’m used to thinking that certain people are great and the rest of us are “Okay”. Abraham was great. Moses was great as well as exceeding humble (Numbers 12:3). Given the Biblical record as well as the long chronicle of human history, it’s difficult to imagine that the majority of the people across time possess “intrinsic greatness”. Frankly, it’s easier to imagine that most people have a talent for being an “intrinsic pain-in-the-neck”, myself included. Of course, William James, Theodore Roosevelt, or even Rabbi Pliskin aren’t quoting directly from scripture, so perhaps they aren’t seeing human beings the way God sees us. Or maybe I’m being cynical. I can see, at least in theory, that God most likely wants us all to live up to our highest potential, to be the very best people we can be, the people He created us to be. It’s just that none of us seem to live up to our very highest potential, at least most of the time. First things first: The Torah is the guidebook for ethical perfection. All the values that the Western world takes for granted – education, equal rights, sanctity of life – are from the Torah. That is an inarguable fact of history. Being orthodox does not guarantee that a person has succeeded in internalizing what he has been taught. I would say that all Jews – religious and not – do not follow the Torah 100%. Everyone does the best he can, some making more of an effort than others. But no one is perfect. But I would also say that almost without exception, an individual will be more kind, charitable and moral because he learns Torah and follows it. 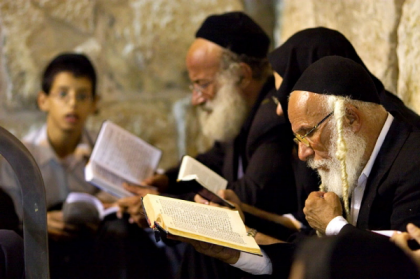 The question is not: Why do some religious Jews behave badly? The better question – and this is what I ask myself whenever I see an Orthodox person doing something wrong – is: Would the same individual behave worse, or behave better, if he was not religious? This feels a little bit like a “dodge” to me. It sounds like the Rabbi is saying that as bad as some religious Jewish people may be in terms of how they behave immorally and unethically, if they didn’t have their training in Torah, they would be so much worse. Would they? I don’t know. I do agree that, although we Gentile believers are not called upon Biblically to replicate a Jew’s observance of the mitzvot, we do have our own Torah for the nations which assigns all humanity with valuing the underlying principles, the very foundation of Torah. We are all called upon to do good and, as the Aish Rabbi says (I’ll extrapolate his sentence beyond its context and apply it to all humanity), no one obeys the Torah principles and mitzvot as they/we are called to obey with anywhere near 100% fidelity. 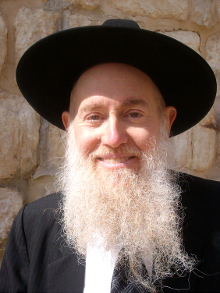 The Aish Rabbi says that because one Orthodox Rabbi committed immoral acts does not mean that the Torah failed, just that one human being has failed. Rather than throwing the Torah and a religious life out the window because people don’t and can’t live up to God’s standards perfectly, we should strive to be better tomorrow than we are today. Obedience is a journey, not a mountain top where you sit sagely because you are always right. On the other hand, the journey of obedience isn’t a pit or a cave where you are trapped forever because you are always wrong and can never succeed either. Or so intimates the Aish Rabbi. I would also argue that if you are looking for a role model of righteousness, you are far more likely to find it in a great religious person than in the secular world. The act of purifying oneself through prayer, study, mitzvah performance, and devotion to helping others to reach the heights of Godliness. True, the observant community does not exist in a hermetically-sealed bubble protected from all negative influences. But given a choice of one or the other, I think the choice is clear. I suppose if we could receive an unfiltered and unedited view of the life of any person we might think of as a “role model of righteousness,” we’d be disappointed in them, at least in some sense. If no one is perfect, then all people have failed; they’ve failed other people, and they’ve failed God. 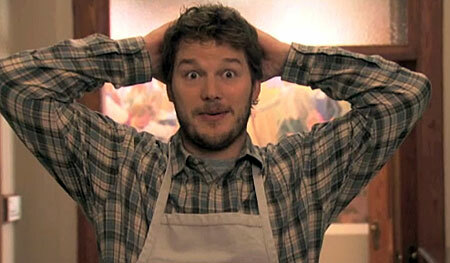 Chris Pratt as Andy Dwyer on the TV show “Parks and Recreation.” The guy’s a definite schlub. I think I understand what he was saying, but it still bothers me a little. I know Moses had this one down pat, but how can you connect to your “intrinsic greatness” while also knowing what a schlub you are inside? I don’t mean “you” or any other specific human being. I don’t have an unfiltered, unedited view into anyone else’s life except my own. That’s why this whole concept of “greatness” is difficult for me to understand. I almost said that if I could talk to Moses for five minutes (assuming we had a common language), he could explain it to me, but our lives are absolutely incomparable. 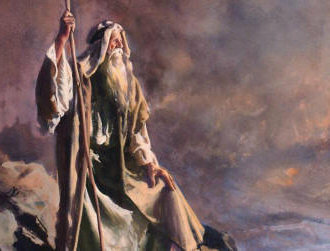 After all, who can live up to a man like Moses, who talked with God “face-to-face” as it were? Not me. Even Moses had his faults, some of them as large as the life of greatness he led. But that being said, where does that leave the rest of us?